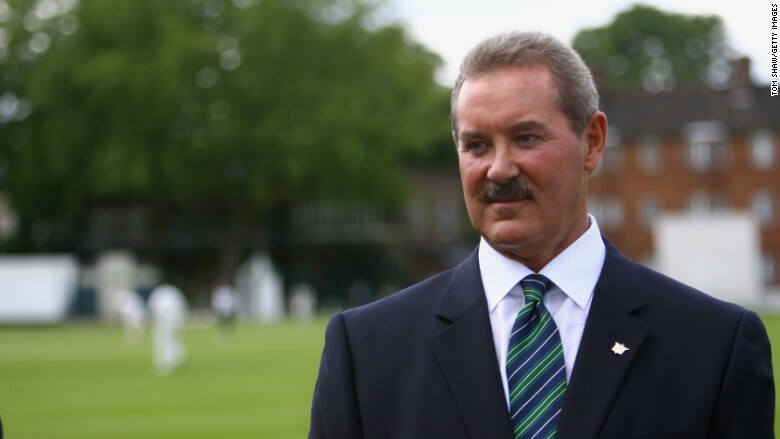 Disgraced financier Allen Stanford is serving a 110 year prison sentence. A key player in the Ponzi scheme orchestrated by disgraced financier Allen Stanford was arrested Tuesday in Central America, according to sources briefed on the matter. David Nanes Schnitzer was captured by authorities on a resort island in Belize, with assistance from Interpol and the U.S. Marshals Service, sources in the U.S. and Belize said. A U.S. Marshals official confirmed the agency assisted in Nanes's arrest. Nanes is wanted by authorities in Mexico for allegedly helping defraud thousands of investors while serving as president of Stanford Group Mexico. Stanford is serving a 110 year sentence for orchestrating the $7 billion fraud, one of the largest in U.S. history. Prosecutors charged that Stanford sold billions of dollars in certificates of deposit administered by Stanford International Bank Ltd., an offshore bank in Antigua, ensnaring thousands of victims. Investors in Latin America, including in Mexico, Panama and Venezuela, suffered hundreds of millions of dollars in losses when Stanford's financial empire collapsed. Nanes oversaw Stanford's operations in Mexico, Panama and other parts of the region. A Jewish charity and prominent members of Mexico's Jewish community were among the victims of the scam. There are no public U.S. criminal charges pending against Nanes. However, a court-appointed receiver overseeing the Stanford estate has filed a civil suit against Nanes for breach of fiduciary duty. An attorney for Nanes didn't immediately respond to a request for comment. In court documents, Nanes's attorney denied he breached fiduciary duty to investors. Stanford based himself in the Caribbean island of Antigua, and the flamboyant businessman used his firm to bankroll a lavish lifestyle and major international cricket tournaments. Stanford has appealed his conviction.